On this episode of Celebrity Twitter Rant: Rapper, Meek Mill, really really really really wants you to know how he feels about Drake. And by really we mean…REALLY. On Tuesday night, right after Nicki Minaj went on a Twitter rage about the MTV VMA’s, Meek Mill decided to go on a rage himself. We won’t lie — we got a kick out of it. Most of the duse sick about Nicki forreal…. It’s a bunch of em! Honestly, we’re so confused as to why this all happened. 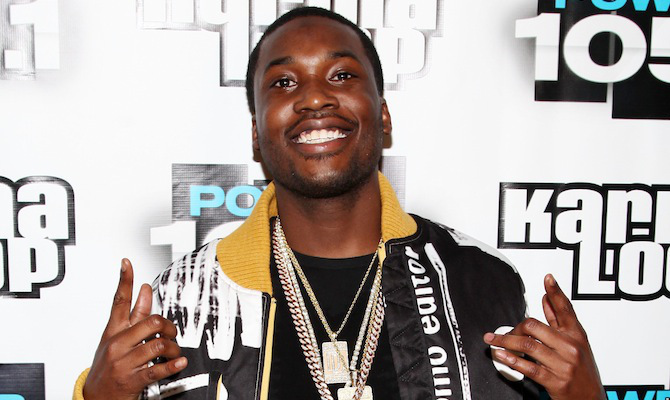 We won’t lie, this had us up all night waiting for someone to tell Meek to shut the hell up already. I’m not hacked either….. I don’t change me mind! We wish celebrities knew that fans get a kick out of their social media rants. Who knows will will happen between Meek and pretty much the entire rap game. Drake hasn’t tweeted since July 10th and Jay-Z probably has better things to do (like travel with Beyoncé).